The letter of James is a bridge from first-century believers to our lives today. James says, "Yes, Christianity can work-in a world that includes both haves and have nots, in a world of instability, Christian in-fighting, materialism and words without actions." In this framework, common to both early and contemporary Christians, James's goal for us is an active allegiance to the Lord Jesus Christ-faith expressed in action. 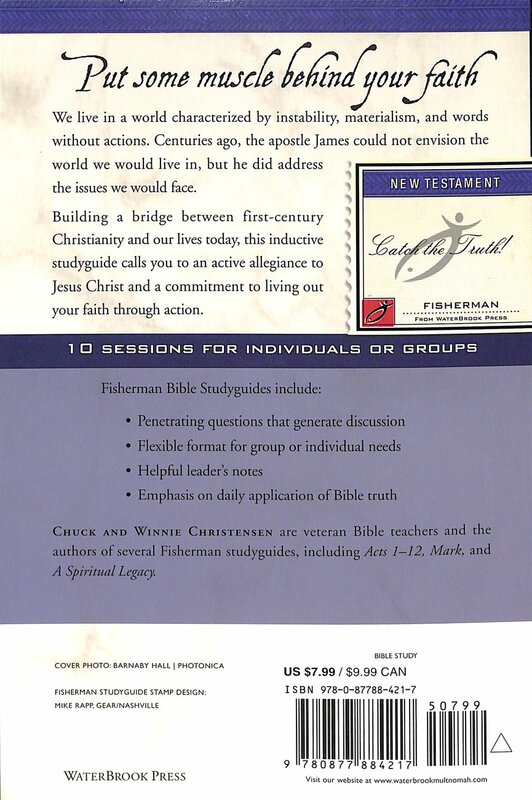 James: Faith in Action by C. Christensen;W. Christensen was published by Waterbrook Multnomah in November 2001 and is our 31300th best seller. 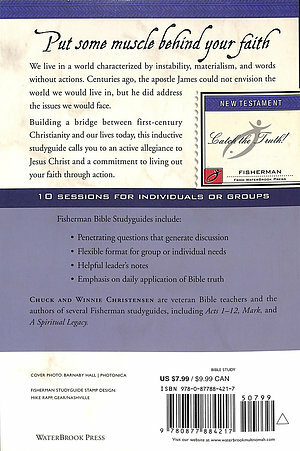 The ISBN for James: Faith in Action is 9780877884217. Be the first to review James: Faith in Action! Got a question? No problem! Just click here to ask us about James: Faith in Action.